This weekend are the last tours of the 2017 season. 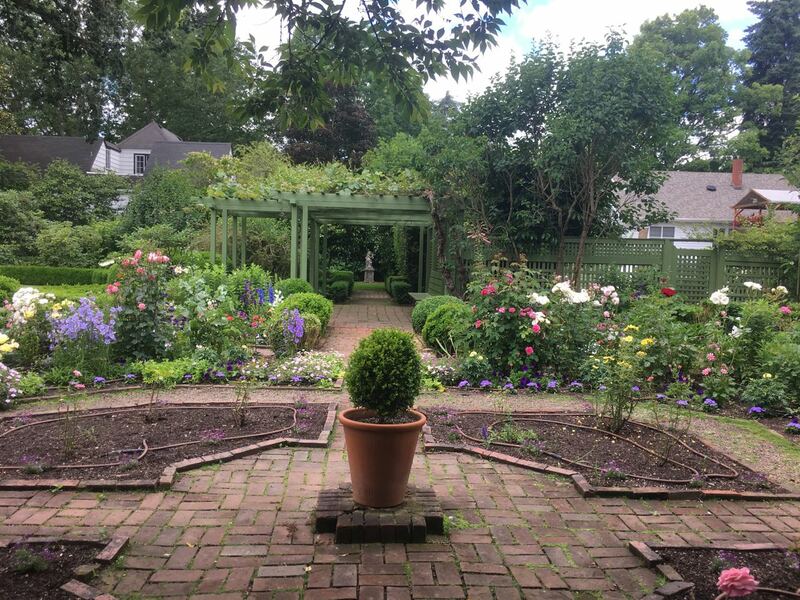 We have a garden tour at Deepwood Museum & Gardens at 9am. It is followed by a tour of the gardens at Gaiety Hollow at 10:30am. 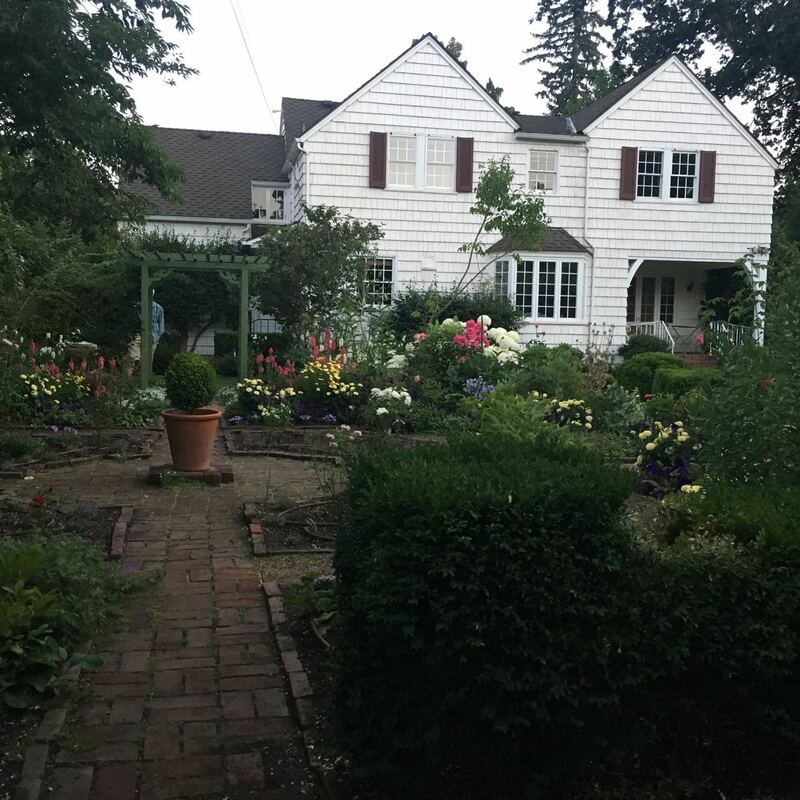 This is your last opportunity to see the Flower Garden at Gaiety Hollow before big changes take place! Come Monday morning, I will be in the garden digging (almost) everything up. The annuals will go to the great compost pile in the sky and the perennials and roses will find new homes with our volunteers. By Wednesday, the Flower Garden will look like a blank slate. Wednesday evening, we are welcoming a crew of youth from the LDS church in south Salem. 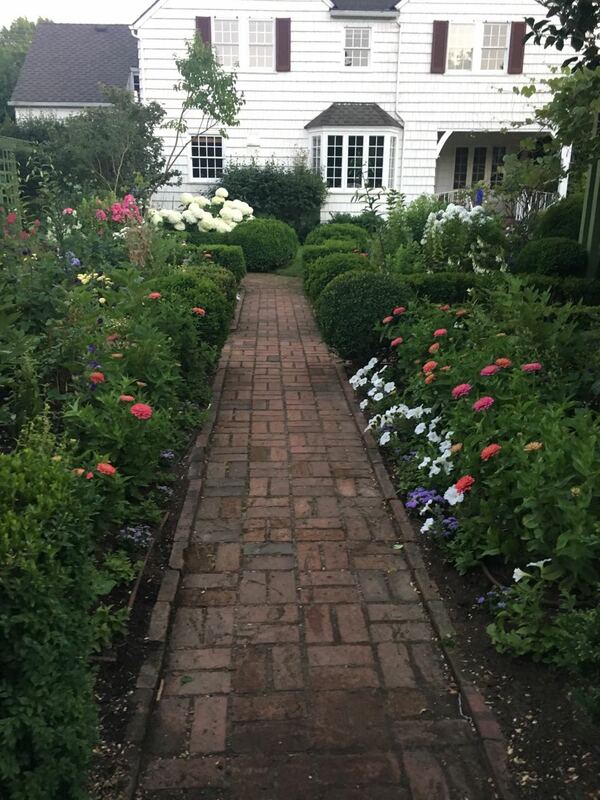 They will pull up the bricks from the paths in the Flower Garden, clean them, and stack them. I am so grateful to have their offer of help! The following week, our contractor will come in with his crew and work will commence on the rehabilitation of the brick pathways. If you have been to Gaiety Hollow this season, you know that the paths are uneven, water pools in various sections, and the edging brick is spawling in places or leaning right and left. When you come back to the gardens next spring, this will no longer be the case! 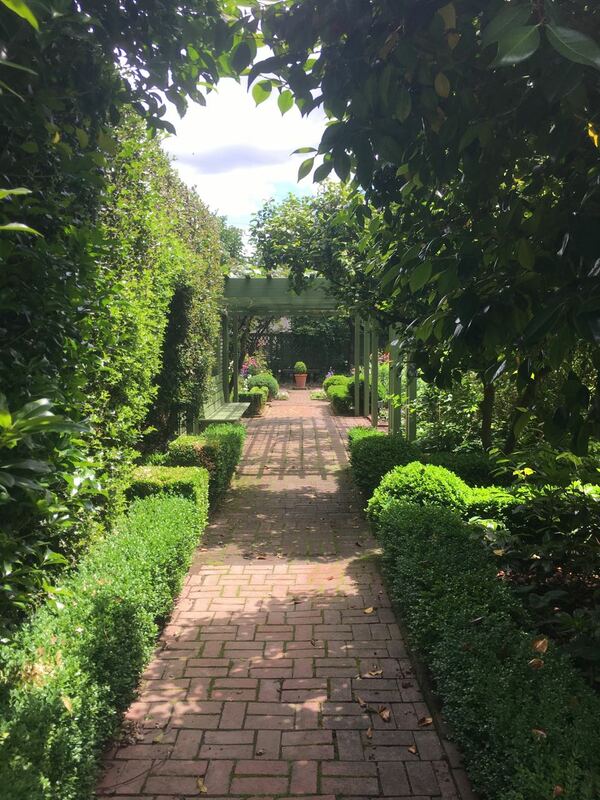 We cannot wait to have the paths fixed so that they look as they did when Edith and Elizabeth gardened at Gaiety Hollow. 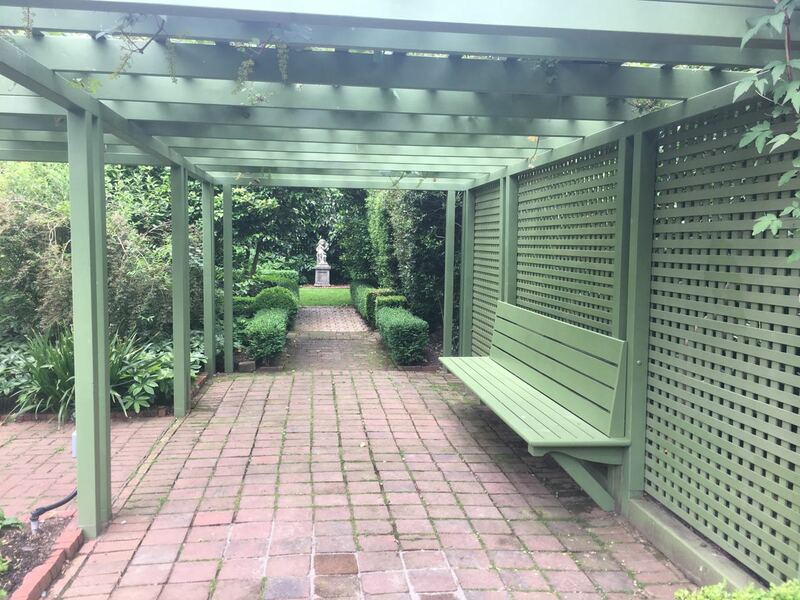 The bricks will be clean, the path lines sharp and crisp, the pedestal at the center of the garden reconstructed, and grass will be reintroduced in two sections (including the path to the Pergola). It is a very exciting time for the Lord & Schryver Conservancy. Many thanks to our grant partners, the Oregon Cultural Trust and the State Historic Preservation Office, to our donors, and to our volunteers, for making this project possible. Fresh, organized and the smells…yum. 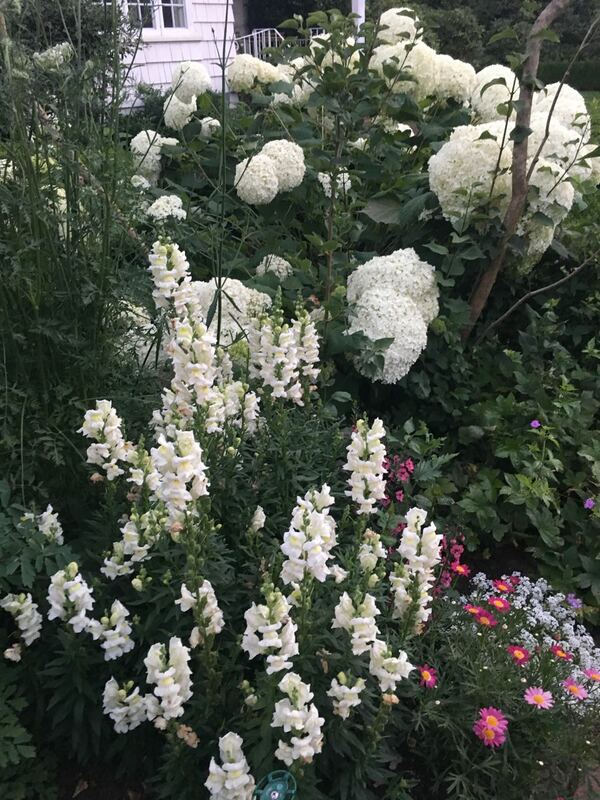 Lindsey has been working with the many garden plans and lists that Lord and Schryver made for their own garden over the years, and has replanted many of the old-fashioned favorites they often used. 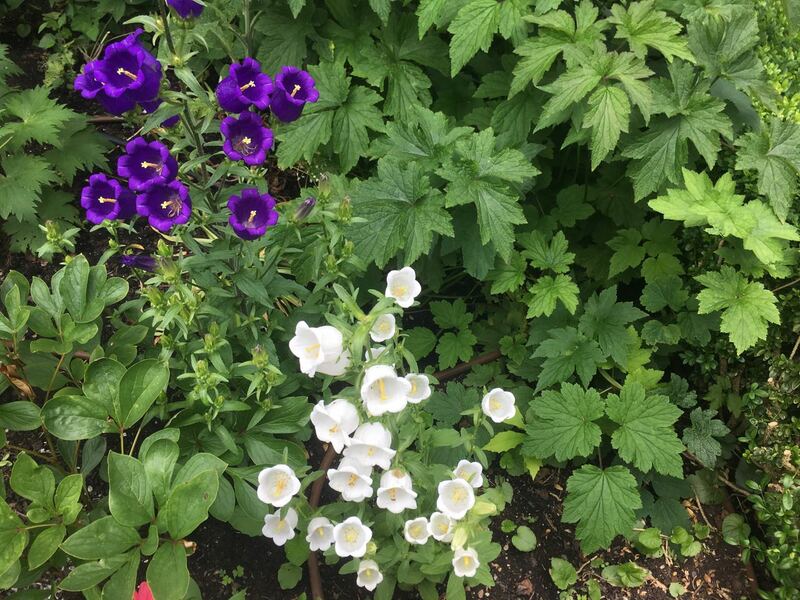 Noticable this summer are the Canterbury Bells…the bells are back! Mark your calendar…Saturday June 24th! 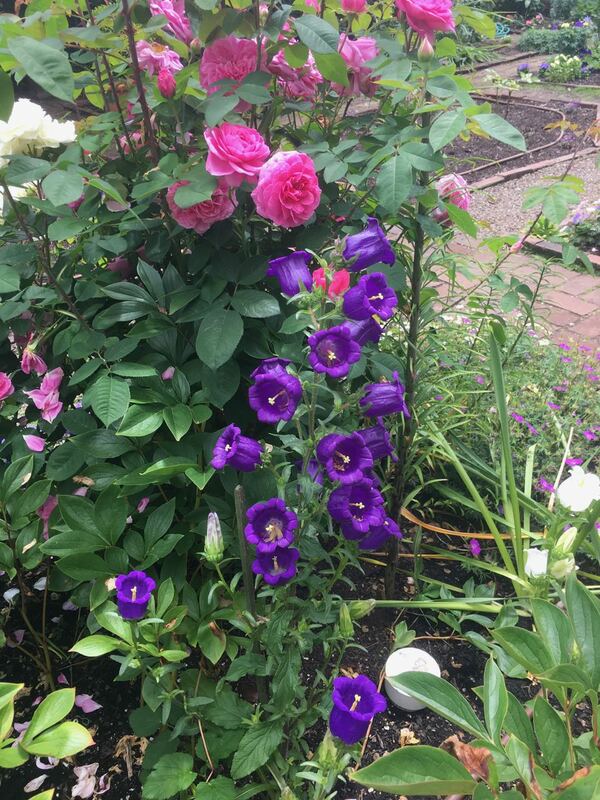 The Tea House garden at Deepwood Museum & Gardens is already putting on a beautiful show. 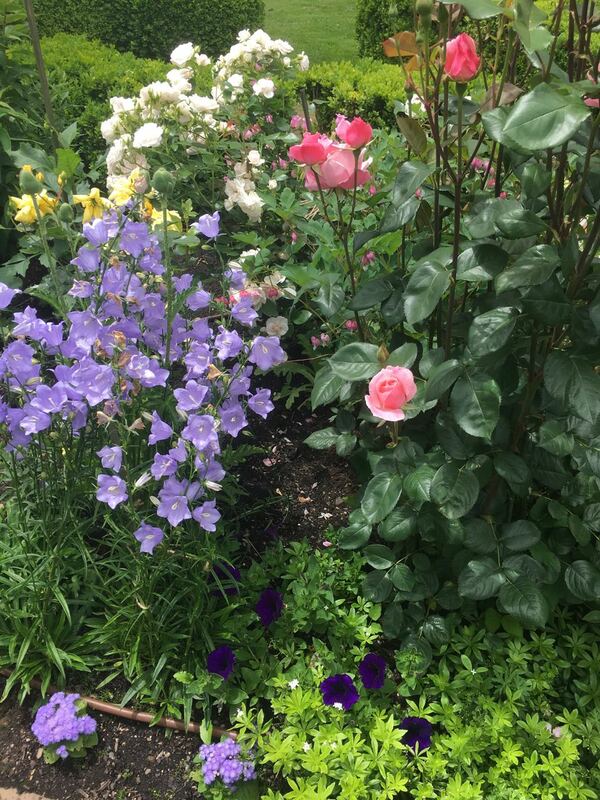 Poppies, iris, roses, foxglove, allium, and many more flowers were in bloom this afternoon. 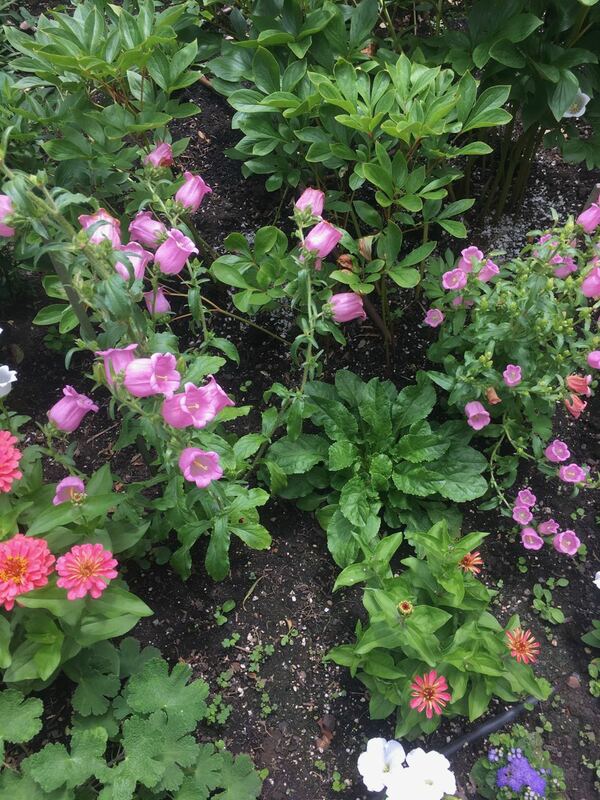 Most of the summer annuals have been planted and are ready to flower. The heat earlier this week made many of the plants grow quickly. A few years ago, the much loved hawthorn tree next to the Tea House was removed. In searching through records, volunteers discovered that Lord & Schryver purchased a white hawthorn for Deepwood in 1932. They were perplexed as the tree blooming by the Tea House had a pink double flower. They contacted nurseries and searched online to find a replacement but there appeared to be none available in the US. When the tree was removed, however, two shoots coming up from the roots were saved. One was left at Deepwood–to hopefully thrive and replace the historic tree–and one was taken to Gaiety Hollow to serve as a back-up . The volunteers waited to see what the young hawthorns would turn out to be. Would they come true to the historic tree? Or was the old tree grafted and the shoots would be from the root stock? Well, this week the volunteers got a beautiful surprise. 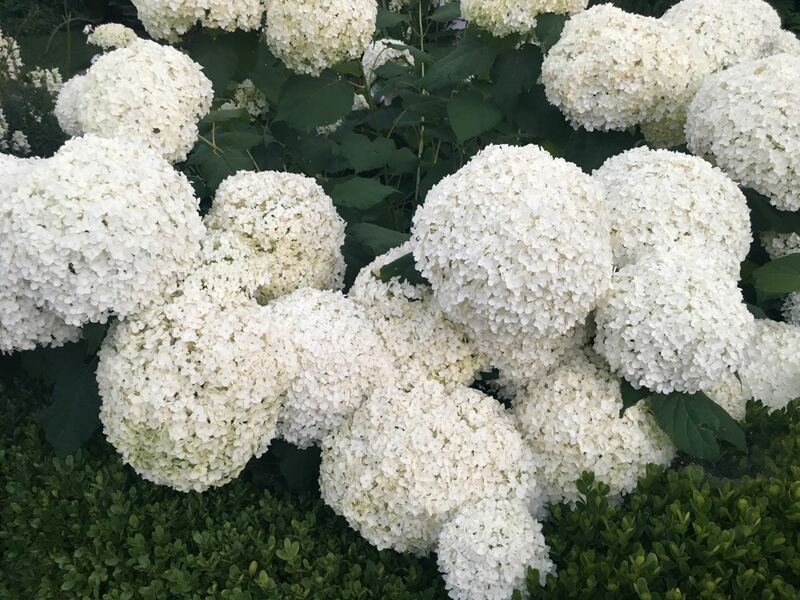 The young trees both bloomed masses of fluffy white double flowers–matching Lord & Schryver’s records–and then faded to pink–just as our volunteers remembered. Not the most beautiful photo, but it’s double and pink! As photos were shared by email and text, you might have heard a few cheers echoing across the Valley. Unfortunately, the intense heat made the hawthorn flowers fade and disappear all too quickly. 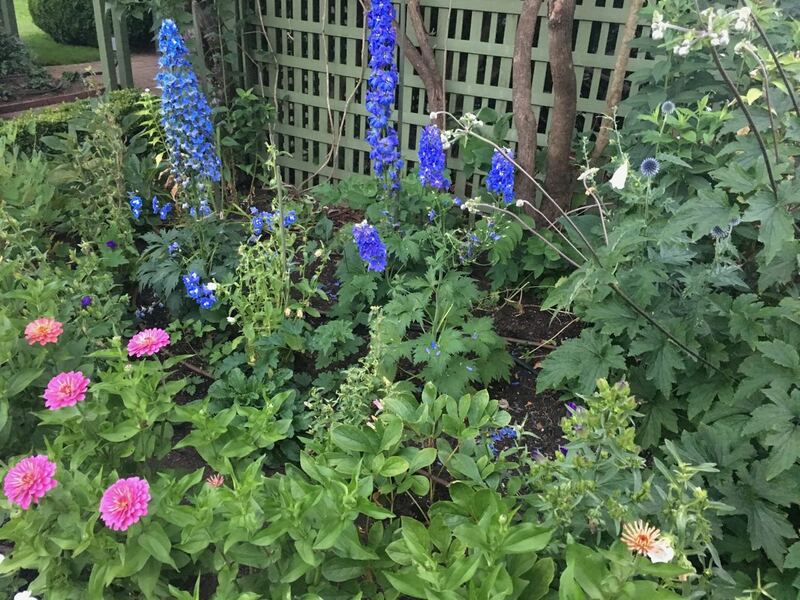 But, the gardens at Deepwood are full of flowers and more than enough reason to visit. 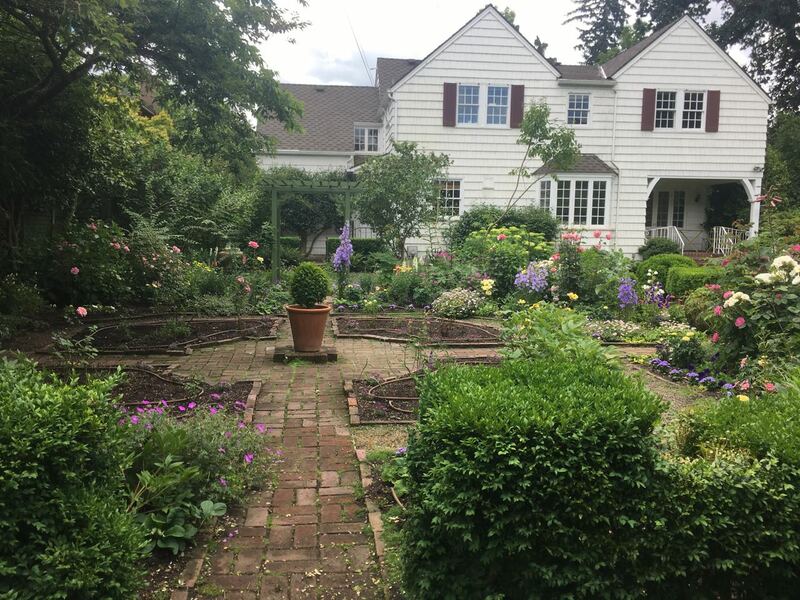 There will be a tour of the gardens this Saturday at 9am for those interested in hearing more stories about their creation and rehabilitation. A second tour will take place at Gaiety Hollow at 10:30. 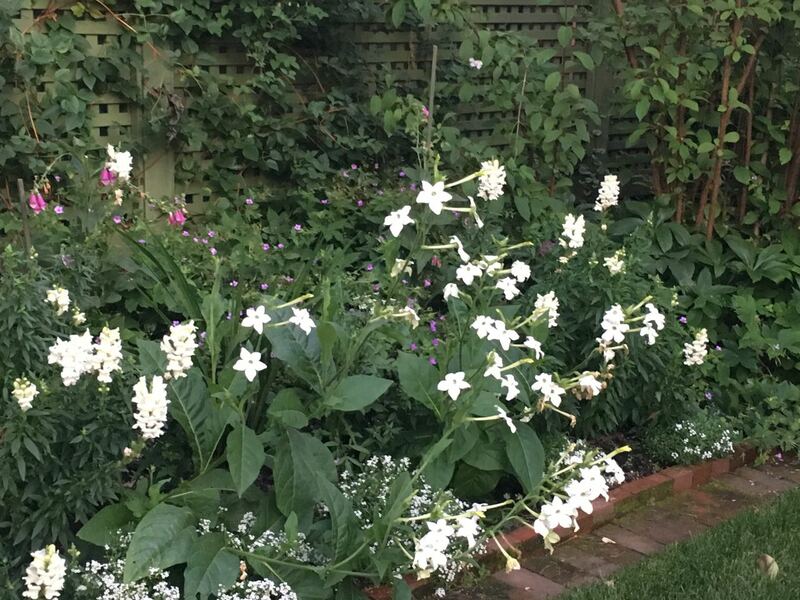 The old hawthorns at the front gate are in full bloom and simply covered in clusters of white flowers. It is no wonder why Lord and Schryver chose to plant these trees with a view from their bedrooms and studio! 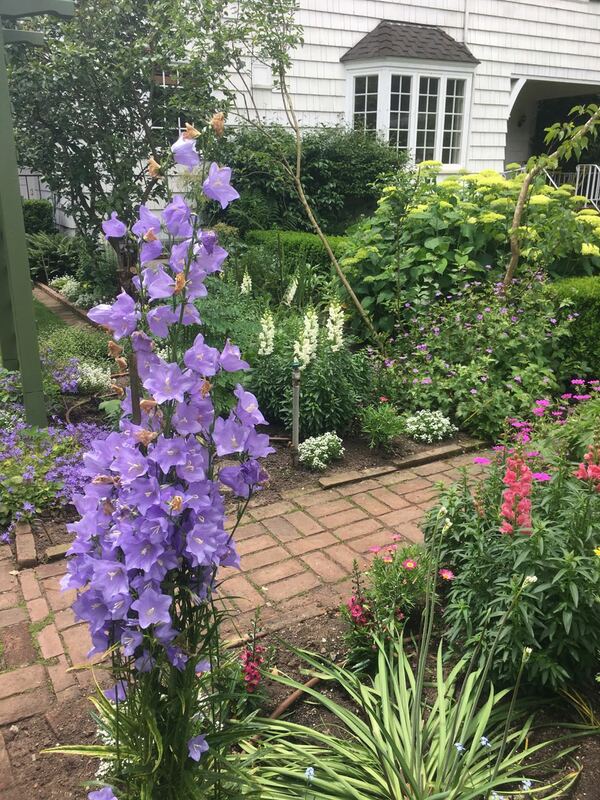 The annual display in the Flower Garden is also taking off, with campanula, roses, peonies, petunias, ageratum, alyssum, and daisies all blooming together. Come for a visit! Today was the perfect day for a tour of the gardens. After all the rain last night, the gardens looked clean and new. We had a lively group of folks come from the Willamalane Park and Recreation District for tours of both Deepwood and Gaiety Hollow and a catered lunch in the gardens at Gaiety Hollow. Everyone had a wonderful time. We hope to share the gardens with more groups throughout the season. Know someone interested in a private tour? Have them contact Bobbie. We have two tours open to the public this coming Saturday. Join us at 9am at Deepwood Museum and Gardens. Tours will leave from the kiosk near the parking lot. At 10:30am, there will be a tour at Gaiety Hollow. Meet at the front door. This past week was a whirlwind of activity at Gaiety Hollow. 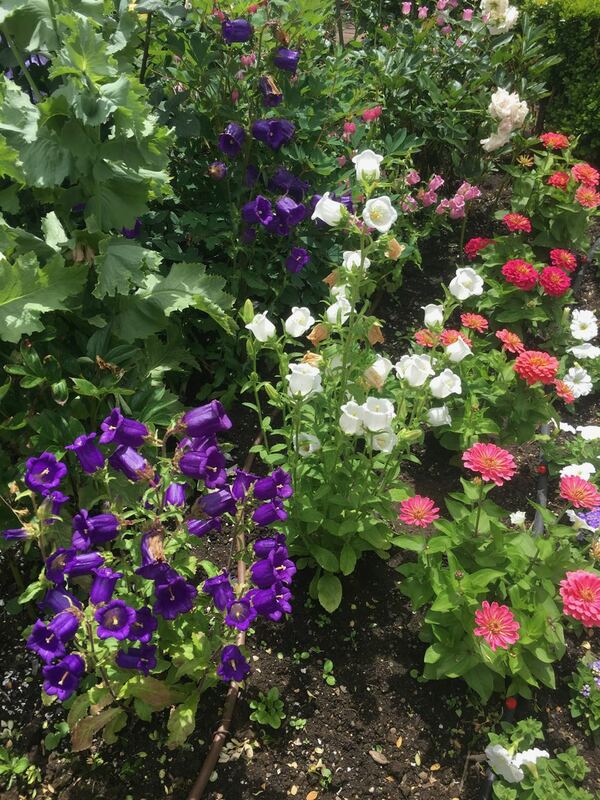 We had our first tour scheduled for Saturday and we wanted the gardens to look their best. 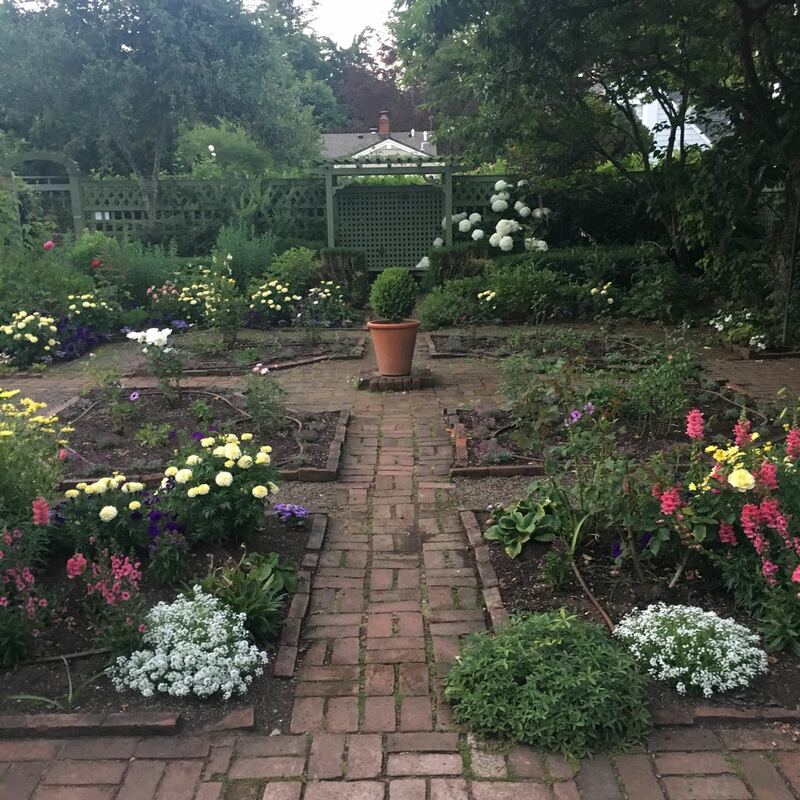 Many, many thanks to the volunteers who put in over 60 hours of work to make the gardens shine. 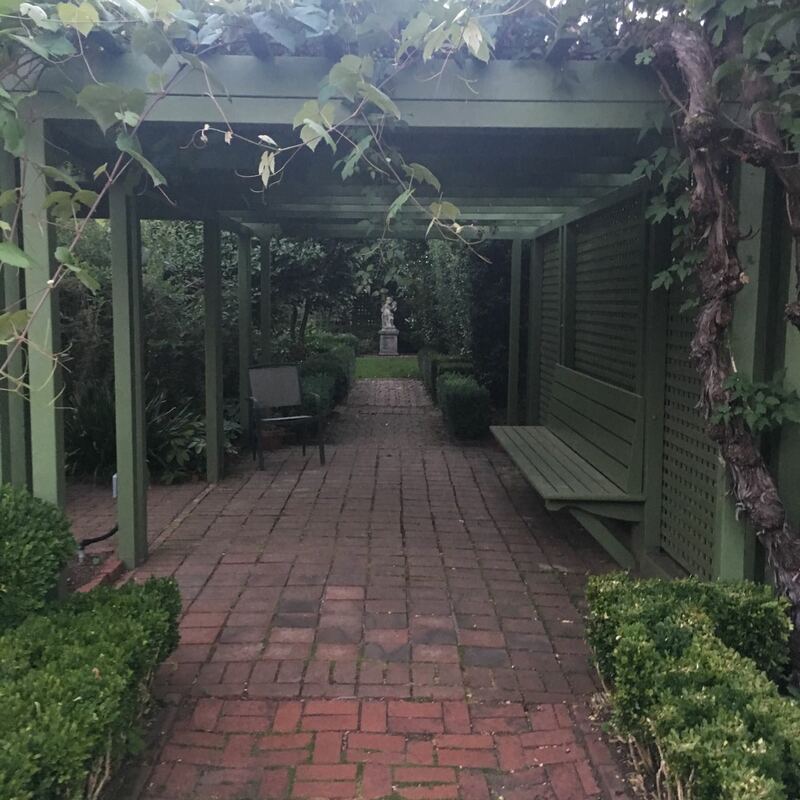 Carpenters worked on the Pergola and cut plywood for guests and volunteers to walk on to avoid damaging the lawn. Garden volunteers filled up four large City compost bins with debris and needed to stash extra in the Service Yard. Every day, we clean up more Camellia blossoms. You finish raking and turn around and there’s another one! The morning of the tour, the gardens looked fresh and clean. 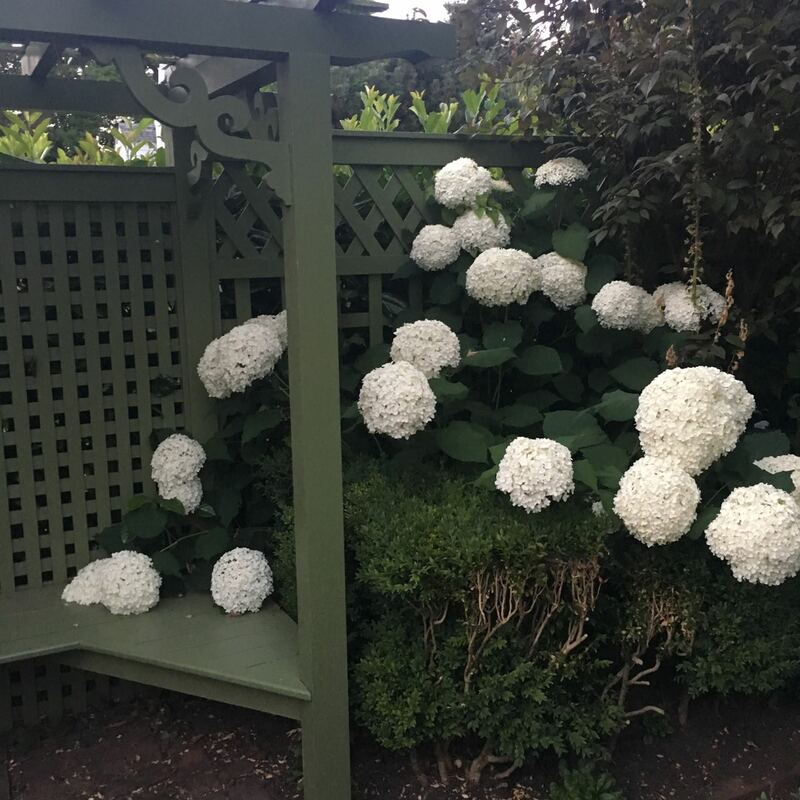 Bobbie placed photos around the gardens so that guests could view the gardens in different seasons or years past. A sampling of camellias float in the pool. And daffodils and grape hyacinths were at their finest. 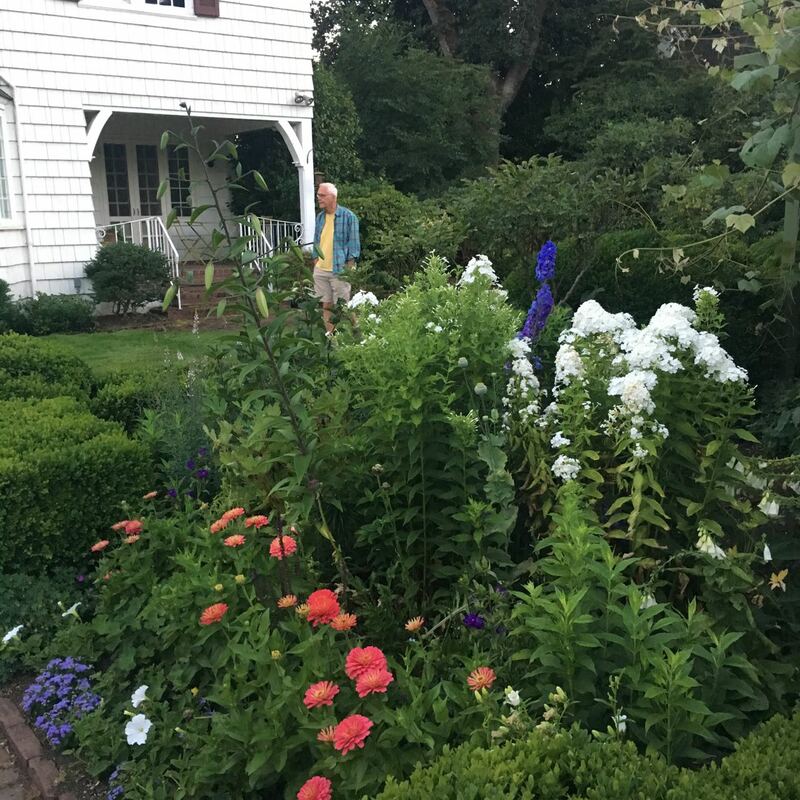 We have more Garden Tours and Open Gardens coming up! The first Open Garden is April 9th, 1-4pm. More information on the website. We hope to see you in the gardens.